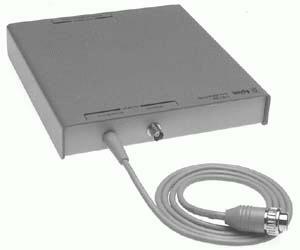 The Agilent 11613B is a dedicated transfer standard for calibration of the Agilent 8757D/E scalar network analyzers. The Agilent 11613B provides a standard, a 27.778 kHz source and a series of precision attenuators. The calibrator includes software that verifies (and adjusts, if necessary) the internal calibration parameters stored in the nonvolatile memory of the analyzer.